Often, change in bedroom decor is something that we dearly crave. But very often, the reason why we do not go ahead with it is cost. Most renovations are costly affairs and exhaustive. But that does not mean we cannot change the look of our bedroom. In this ideabook, we look at easy ways to spruce up the look of your bedroom without putting pressure on your pocket. 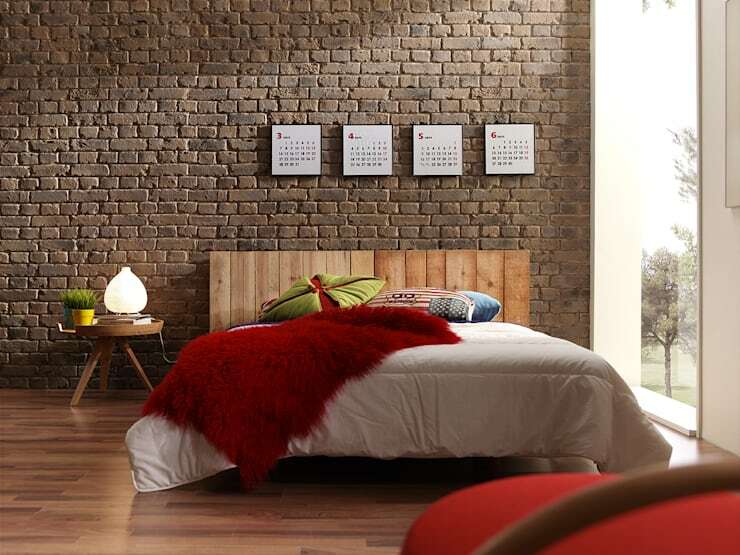 These six amazing ideas will make sure that your bedroom is actually a place of your dreams. When you want to add drama to the room, opt for a splash of colour. A lick of paint can do amazing things to your bedroom décor. Adding colour does not mean painting the walls but instead use décor and accessories as accents in the room. 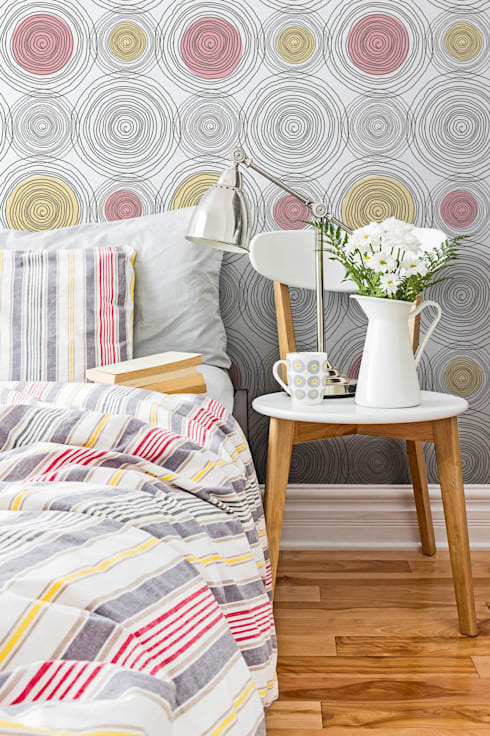 One of the most beautiful, speedy and economical ways to revamp a bedroom is wallpaper. You could go all out and paste wallpaper all over or use it to draw attention to just one wall or keep it subtle. There are plenty of modern patterns to choose from these days to make your walls wonderful. The best is a piece of furniture that takes up most of the space in the room. 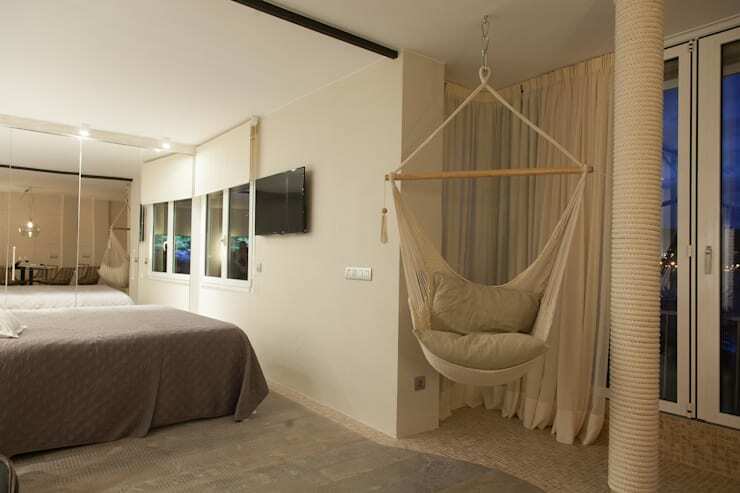 You can choose to use a bed, with a unique headrest to make it the conversation piece of the room. 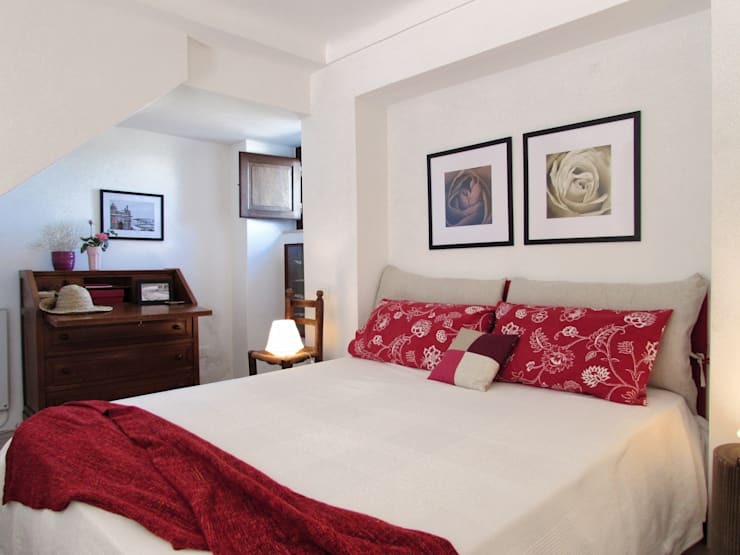 Take a cue from this rustic creation by the interior designers and decorators at Panelpiedra. One of the most fun things to do is to create furniture on your own. 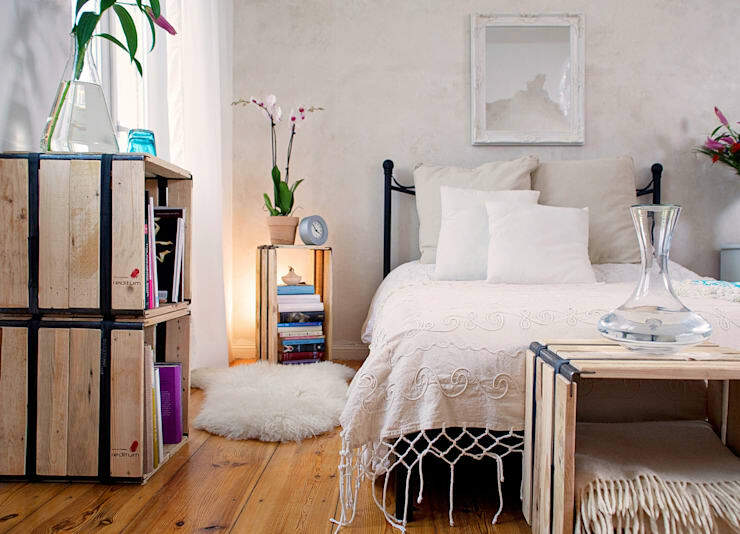 Recycling and up-cycling are all the rage at the moment so if you are creative, turn your thoughts to your bedroom. Like DIY projects? We've curated a list of 44 pallet hacks you can easily copy. Use pendant lamps, eye-catching clocks and other accessories to give your bedroom a personality. This room uses a beautiful lamp, two tables of different heights and a simple branch to draw attention to the corner near the bed. When you have space at your disposal, you can use it to create a small nook that can be your dedicated refuge. Not only does the space and its furniture add elegance to the room but they also help the room look much more organized. You can tend to get carried away while working on the design of a room that is so immensely close to your heart. However, if you have the right ideas and a bit of creativity, you don't have to break the bank for a beautiful bedroom. Here's another story to inspire you - Follow Your Bliss: How To Get A Calming Bedroom.